Does Science Belong on my Plate? 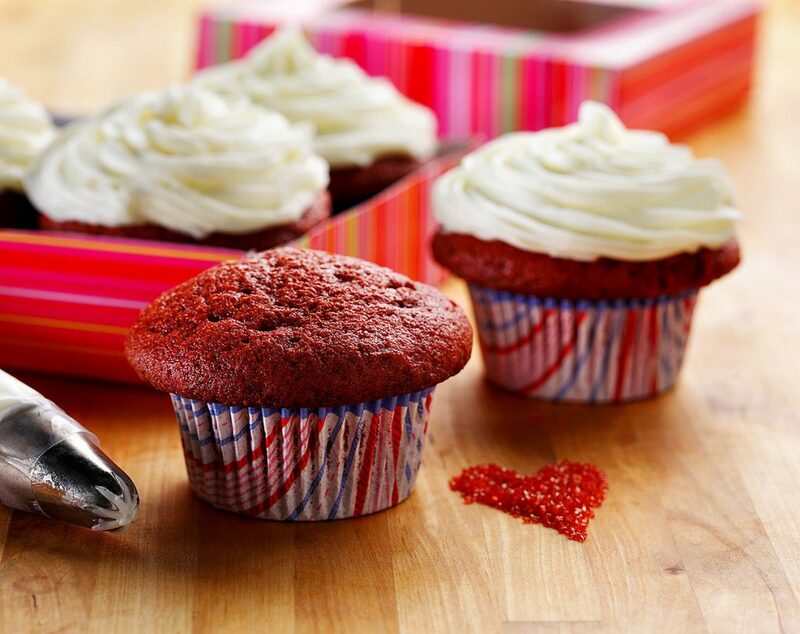 Red Velvet Cupcakes are as delectable as they are distinguishable in colour. Made with a classic buttermilk batter and finished off with an enticing vanilla cream cheese icing, they’re always a hit, no matter the occasion. Baking with canola oil has its health benefits. Canola oil is light, doesn’t interfere with other flavours and reduces the trans and saturated fats in your baking, making it a heart healthy choice. Line one muffin pan with paper liners. Preheat oven to 350°F (180°C). 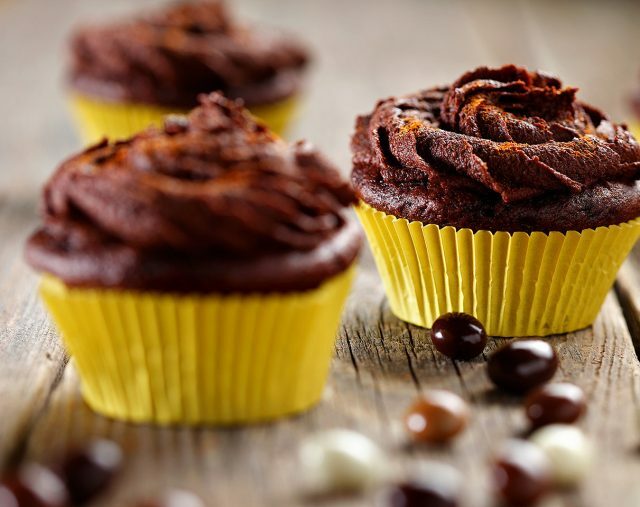 In a medium bowl, combine flour, cocoa powder, baking soda, baking powder and salt. Stir to combine. Set aside. In a large bowl, beat together sugar and canola oil and egg until thickened, about 2-3 minutes. Slowly add in buttermilk and vanilla. Beat until combined, about 1 minute. Stir in red gel colouring and vinegar until combined, about 20 strokes. Add dry ingredients to wet ingredients. Divide cupcake batter into the paper lined muffin pan. 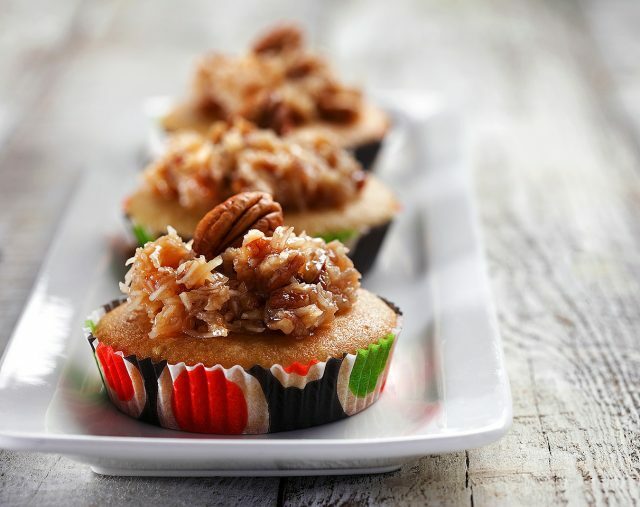 Bake for 20-25 minutes or until toothpick inserted into the center of the cupcakes comes out clean. Remove cupcakes from pan and cool completely on wire rack. 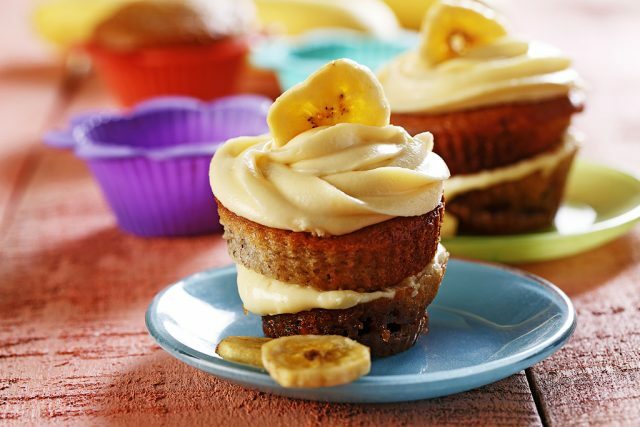 Once cupcakes are cooled completely. Frost with Vanilla Icing. Recipe follows. In a large bowl, beat together the cream cheese and canola margarine until very smooth. Add confectioner’s sugar and beat well. Add vanilla and beat to combine ingredients. Recipe notes: You can experiment with natural food colourings like beet juice (reduce liquid as you increase juice) but it will never produce the redness of using food colouring. © 2017 Manitoba Canola Growers. All Rights Reserved. Sign up and Stay Connected! Sign up to get the latest updates and newest recipes!